I posted this sand crab video on twitter, and received an interesting response from biologist Zen Faulkes. He published several papers on his experiments investigating the neurobiology and mechanics of how sand crabs dig (1997a, 1997b, 1998). These two male Northern Elephant Seals fought with one another on the beach at Año Nuevo on Christmas Eve 2017. Eventually one male backed off and moved away into the ocean. 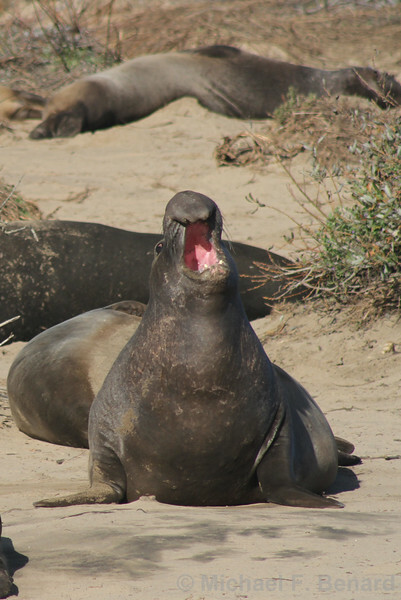 A male Elephant Seal at Año Nuevo in December 2016. In late May 2018, I came across this planarian among the leaves on the forest floor in Cuyahoga County, Ohio. Planarians are part of the group of animals known as Platyhelmintes. Although planarians look a bit like earthworms, they are only distantly related to earthworms and other members of the Annelida. Interestingly, there are many planarians that hunt and eat earthworms. A male whitetail deer jogged right by me while I was standing in my driveway in Shaker Heights, Ohio. Apparently, two does ran by just a minute or two earlier, but I didn’t see them. This buck was in hot pursuit. He came close enough that I could have touched him, but he was obviously focused on following the does. The video was taken in mid-November, 2017. 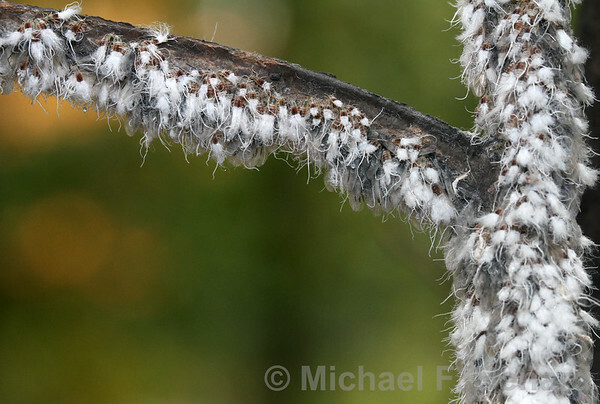 Beech Blight Aphids (Grylloprociphilus imbricator) will gather in large groups to feed on the sap of beech trees. They have a distinctive “dance” to deter predators. When disturbed, they wave their abdomens and waxy white filaments. These photos and videos were taken in Cuyahoga County, Ohio.